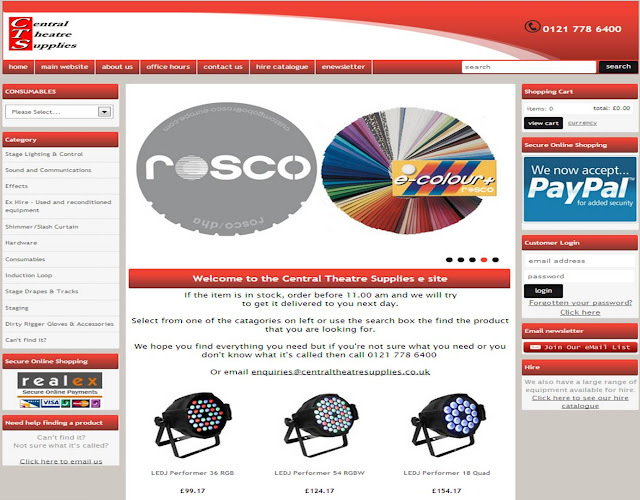 For years we have toyed with the idea of selling products online. We have always prided ourselves on the advice that we give to our customers and obviously we can't do that online but in the end the pressure to sell online got too much and we relented and launched our very own online shop. We offer UPS delivery all over the world as it they are generally fast and reliable and although it's a little more expensive it definitely beats struggling down to the post office with a mixing desk under one arm and three parcans under the other! We try to offer a good range of products but there is always something new to be added or updates and we are always happy to hear suggestions for what you would like to see available online. As always, we are available on the phone, via email or in person if you want to ask any questions about your what you want to buy.